In our busy modern-day lives, there are few opportunities to be at one with nature in a genuinely wild space. To practise, learn and progress our yoga in such a place is a dream come true. Environmentally rich and unique, the magnificent Alps are one of the largest and highest mountain ranges in the world. Dynamic and diverse, here you can feel nature shifting around you. Snow and ice runs off the mountain peaks to make crashing rivers; waterfalls explode from rock faces; whilst deep in the valleys wild flowers blanket meadows and green forests stretch as far as the eyes can see. A truly restorative place to practice yoga: as you open your lungs to breathe in the fresh mountain air and soak up the sights and sounds of your surroundings, you will automatically feel more present. From our base in Morzine, in the Portes du Soleil region of the French Alps, which lies between Mont Blanc and Lake Geneva; we comb the Alps for unique and beautiful places to host our yoga retreats. We bring you properties in inspiring locations, with spacious indoor and outdoor areas ideal for yoga practice, relaxation and rest. 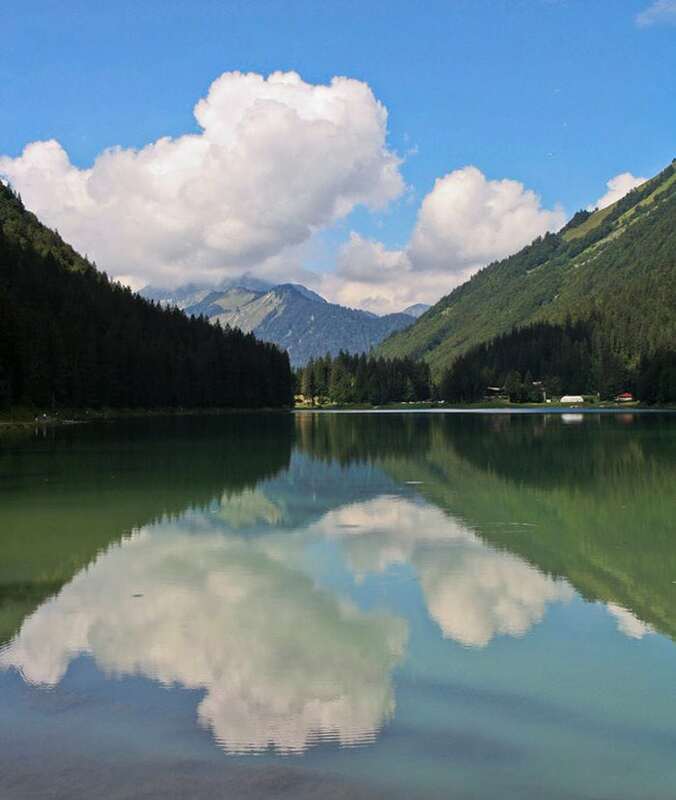 Morzine provides direct access to the beautiful mountains of the Portes du Soleil region, yet can easily be reached due to its proximity to Geneva in Switzerland. A short 75 minute transfer by road and you can be in the heart of the mountains, a million miles away from congested city life. 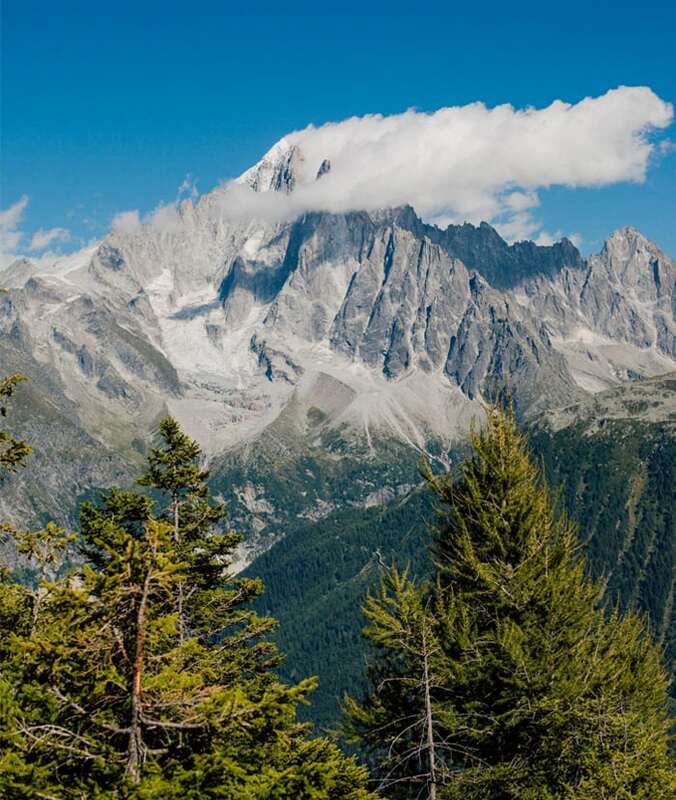 In winter the area is a skiing destination, whilst in summer it slows to a more relaxed pace, attracting visitors for a plethora of activities, such as hiking, biking, lake sports, paragliding and rock climbing. There is plenty of space for everyone, and the clear blue skies and temperate climate is perfect for exercise. Check out our upcoming retreats in the Morzine area. Deservingly holding a ‘ville fleurie’ award, as one of the most beautiful towns in France, Samoens is a sleepy place in the stunning Vallée du Giffre. The charming architecture of the town dates back to the 17th century, when it first became known for its talented stonecutters and masons. A tranquil botanical garden boasts an array of alpine flowers and stunning views of the countryside. 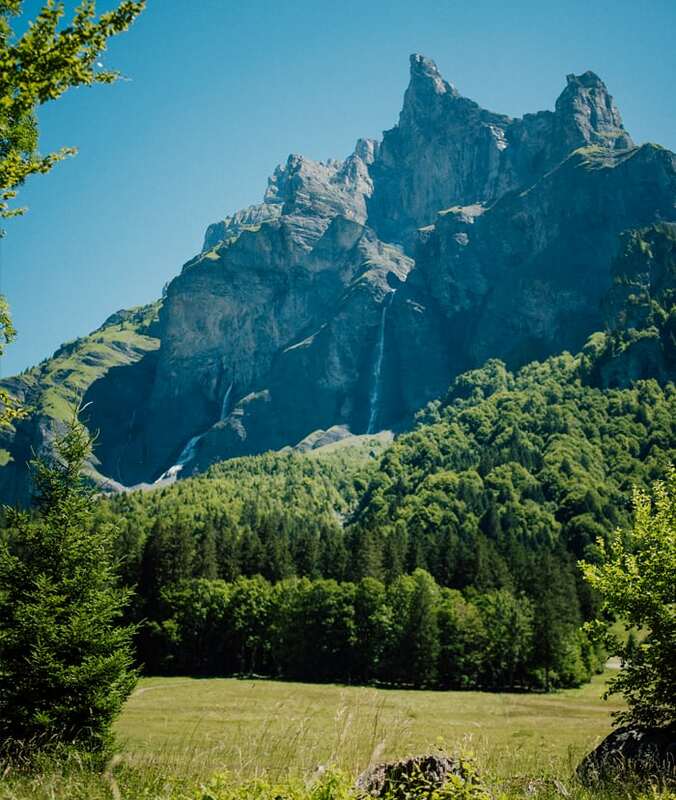 Samoens and its neighbouring villages serve as the starting point for many well-known hikes in the spectacular Mont Blanc region. In this hidden gem of the Alps, we have found many secret spots for outdoor meditation and yoga sessions. Soak in the sounds of a gushing waterfall; find peace on the shores of Lac Bleu, a crystal clear lake which beautifully reflects the surrounding mountain tops; or march to your own rhythm as you climb to a summit to view the epic peaks of the Grand Massif.